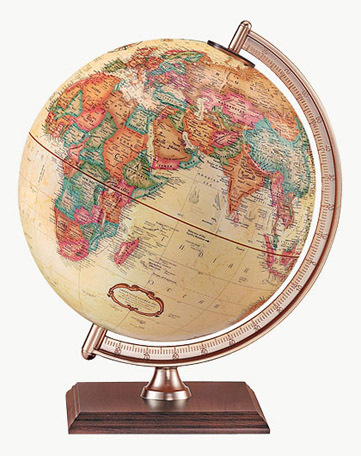 This political globe with gyromatic mounting swings up or down to bring any area into closer view. 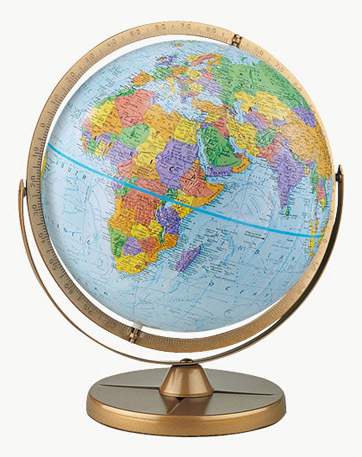 Map areas are in vivid colours to easily distinguish political boundaries. It illustrates thousands of place names. 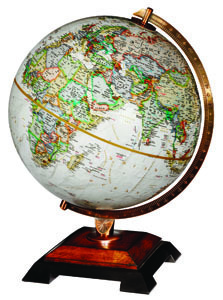 It has a full, numbered meridian on a gold-coloured metal base.